They say the best things come to those who wait. Well, with just a couple hours of Halloween 2016 remaining, Danielle Brooks and Jessica Williams have delivered what may very well be one of this year’s most epic costumes. 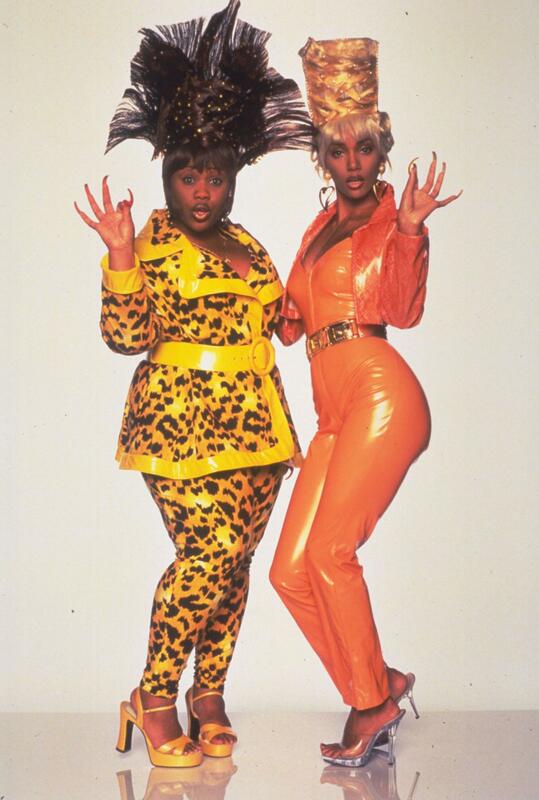 If the bejeweled wigs and loud fabrics don’t give it away, the dynamic duo are serving a spot on impression of Mickey and Nisi, the sassy besties played by Halle Berry and Natalie Desselle respectively in the ’90s classic B*A*P*S.
Adorned in bejeweled wigs by Tish Celestine and outfits that perfectly replicate the iconic pair, the Orange Is The New Black star and 2 Dope Queens host are taking squad goals to an entirely new level. Once again, Black girl magic prevails.